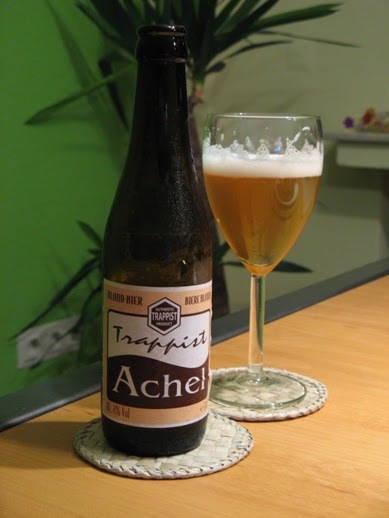 Achel is the the newest Trappist brewery, having opened in only 1998. They did however get help from Westmalle and Rochefort in opening the new brewery, and it definitely shows. This is probably one of the best blonde ales I've ever had. It has an absolutely perfect color with a perfectly soft head. It smells fairly sweet with some nice wheat notes. All of the flavors are perfectly balanced, with a nice wheaty sweetness. It is not bitter at all like the Westmalle Tripel, but it definitely doesn't need it since everything is perfect.